The LaTeX Letter class is very useful for simple letters. As such letters are also somewhat standardized, they make for excellent candidates for use by Markdown. This package leans on earlier work by Aaron Wolen in his pandoc-letter repository, and extends it for use from R via the rmarkdown package. The package is fully working, and on CRAN. to create a first draft of a new myletter.Rmd. 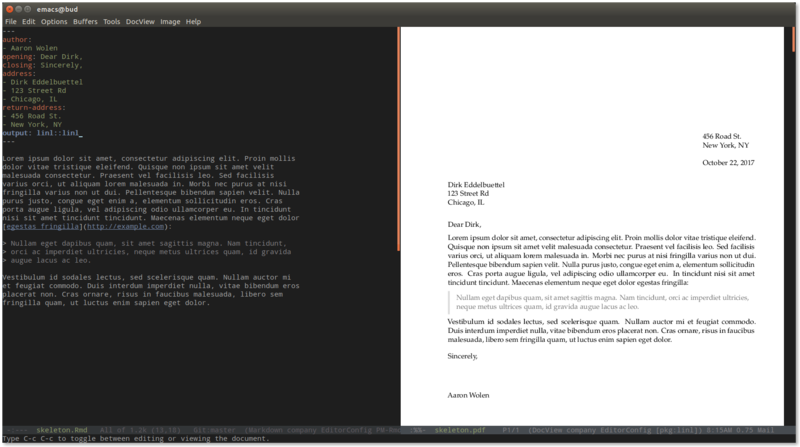 The pdf mode should only require a basic LaTeX installation. Dirk Eddelbuettel and Aaron Wolen. 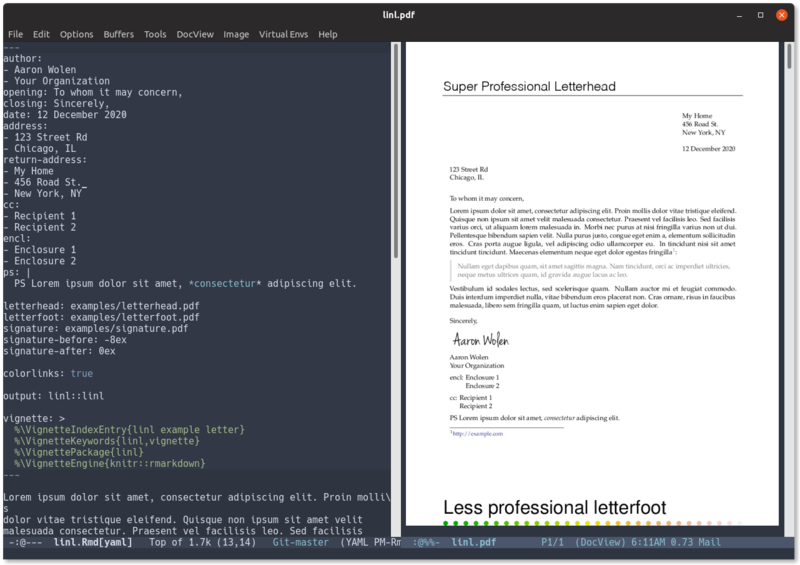 GPL-3 for this package, the work in pandoc-letter, as well as underlying Pandoc template.